There's an entire world just below your feet. For over 1200 years, this natural limestone cave has been a staple of Guilin's tourism industry. The cave is adorned with multicolored lighting to set the mood of mystery. 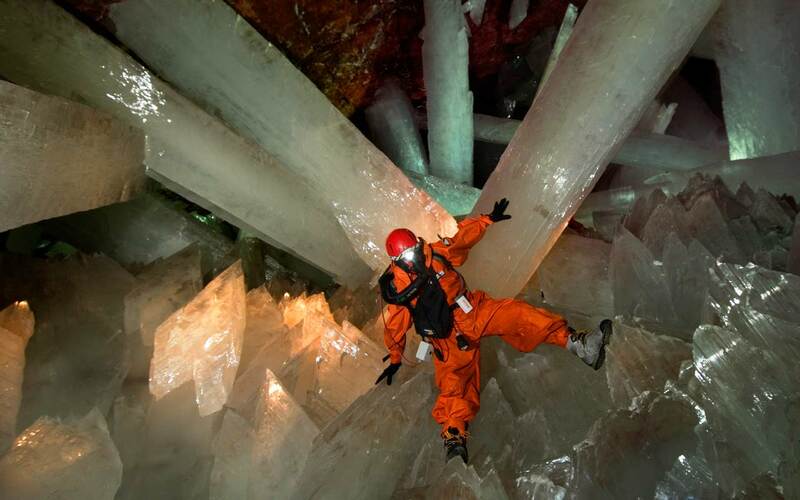 Located approximately 980 feet below the surface of the earth, the Cave of Crystals contains some of the largest selenite crystals ever found. Without proper protection, human beings can only survive in the cave for ten minutes at a time. This spooky location is a 200-mile network and the final resting place for thousands of deceased souls. Since it's establishment in 1810, it's gained the reputation as "The World's Largest Grave". 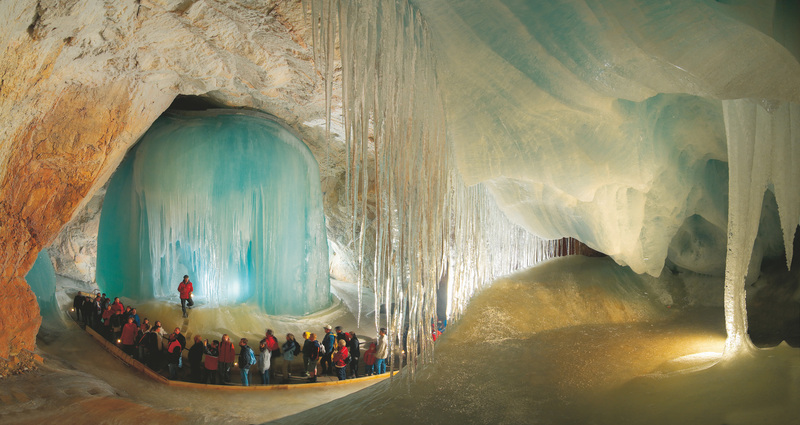 German for "World of the Ice Giants", the Eisriesenwelt is a natural limestone ice cave located in Werfen, Austria. It currently holds the title for the largest ice cave in the world. This Salt Cathedral is an underground Roman Catholic church built within the tunnels of a salt mine 200 meters underground. Over the years, the Cathedral was carved out by the miners as a place for their daily prayers–a place to ask for protection in such a dangerous working environment. One of the most important salt mines in Transylvania, the Salina Turda has been known since ancient times and put into operation for underground mining work during the Roman period. The Moscow Metro was the first underground railway system in the Soviet Union. Today, this metro is host to 197 stations, 9.28 million daily riders, and a slew of beautiful architectural designs that reflect the nation's rich history. The Thrihnukagigur Volcano is only place on earth where you can journey deep into a volcano's magma chamber. But first you have to drop 400 feet through an opening only 12 feet in diameter. This national park offers visitors a chance to drift downstream in an entirely enclosed river ride. After investigating the river further, in 2010 it was discovered by geologists that the river has a second floor, meaning that there are waterfalls inside the cave. The Cenotes are natural sinkholes caused by the collapsing of limestone into the groundwater underneath. These are great places to swim, but were also sometimes used by the ancient Mayans for sacrificial offerings. This colossal infrastructure is the world's largest underground flood diversion facility, built to direct water during typhoon season. It's open for tours and a bit reminiscent of the dystopian future we're all drifting towards. The Basilica Cistern is the largest of several cisterns beneath Istanbul used for collecting water during the 6th century. Despite having a capacity of 100,000 tons of water, today the cistern holds just a couple of feet of water and a few happy fish.